Most healthcare providers have heard about the American Recovery and Reinvestment Act (ARRA). An important component of the ARRA comes from the Health Information Technology for Economic and Clinical Health (HITECH) Act. This component of HITECH provides incentives to encourage information technology across the healthcare industry. 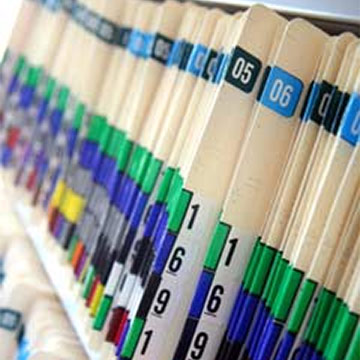 Electronic Medical Records (EMR) systems and Electronic Health Records (EHR) systems are the principal technicological goal for physician practices and groups of all sizes. What is the difference between an EMR and an EHR? Both systems are digital versions of the paper charts in a physician’s office. An EMR system contains the medical and treatment history of the patients within a specific practice, allowing clinicians to track data and easily identify which patients are due for preventative visits or checkups. An EMR system also allows doctors in that office to check how their patients are doing over time – for example, trends in their blood pressure readings. This system provides the ability to monitor and improve the overall quality of care within a particular practice. provide your clinician notes to be updated in a consistent and timely manner during discharge from the hospital, with instructions based on history. Within the healthcare community, both EMR and EHR systems harness the power of technology to: lower health care costs, reduce medical errors, improve point of care, improve access to data, and improve the overall quality of service and care. This allows the healthcare community to raise the bar on the 5 R’s principles. L-Tron Corporation understands, believes, and supports the guiding 5 R’s principles of the healthcare industry: Right Medication, Right Dose, Right Time, Right Route, and Right Patient. If you’re in the midst of looking into an EMR or EHR Solution, I would be interested to find out how your journey is progressing. For more information on how L-Tron can assist with such a solution, contact me at lynn.johnson@l-tron.com anytime!